Intex has officially announced the specs of its upcoming handset, the Intex Cloud Y3. The new Y3 has 4.0 inch IPS display, dual core CPU and 1500mAh battery. The phones runs on Android 4.2.2 jelly bean OS and supports Dual SIM. The handset lacks the 3G network support, which would be the biggest disappointment in it. 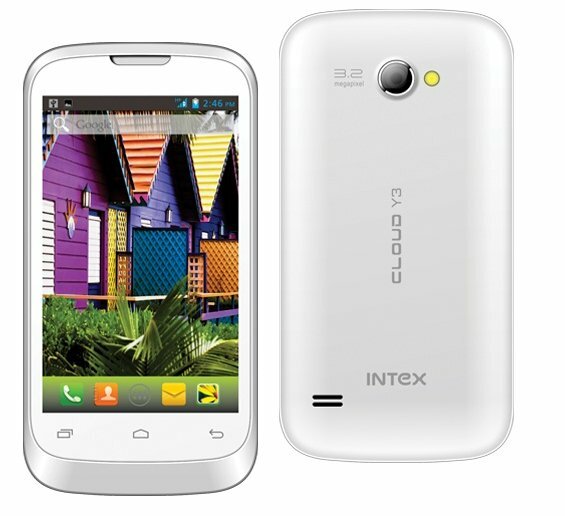 Intex Cloud Y3 is available on ebay India for a price of RS.5450.